Get the advanced care you need from your local optometrist. Sight is one of the most valued senses. Age, disease, and unexpected injuries can all impact how you see the world. Fortunately, there are many advances in medical technology to help preserve and restore clear vision, from glasses and contacts, to medicines, therapies and surgeries. Greater Philly Eye Doctors can assess your eye health, screen for diseases, and diagnose and treat common eye conditions. To get started, schedule a comprehensive eye exam at an office near you or learn more about common eye conditions and advanced new options for correcting impaired vision. Thanks to advances in technology, there are exciting new ways to treat and restore clear vision. These treatments may include surgery or therapies to help reshape the surface of the eye and sharpen your focus. Talk to your Vision Source doctor to find out if an advanced treatment is right for you. 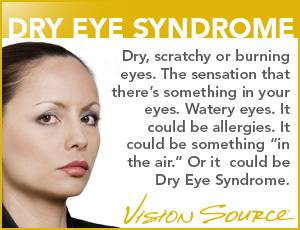 Eye conditions are problems that make the eyes uncomfortable and may take a toll on your vision. They can come on suddenly or be a result of aging, illness or injury. Your optometrist can identify the underlying causes and create a plan to minimize long-term damage to your eyesight. Eye disease may refer to an illness that directly impacts the eye, such as “pink eye.” Or it may refer to a disease’s toll on your eyes’ health. An example of this is “diabetic eye disease” which is not its own condition but a complication of diabetes. The important thing to know is that your Vision Source doctor will partner with you to improve your long-term outcomes. The most common causes of impaired vision are called refractive errors. These happen when the shape of your eye prevents you from focusing clearly. You may see blurry images or find it difficult to focus. The good news is that your Vision Source doctor has access to advanced diagnostic tools and a comprehensive line of corrective lenses and frames.